Your wazamagumpus is bent - Telma Grant, P.T. 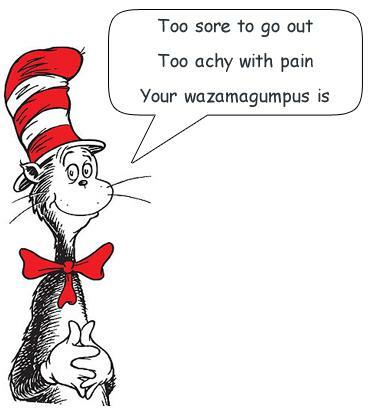 Your wazamagumpus is bent,You rub it in vain. Try this you are told. Try that, you once heard. Now the advice is getting absurd. And stop all your mopin’. And get rid of your frown.